One thing that has always bugged me about the way that self-taught traders are treated is that they are made to believe that they are somehow inferior or behind an iron curtain in terms of the inner workings of larger participants. This is a myth, and below I'll explain why and show you where to get started. The biggest problem I see is that they are inundated with a never-ending stream of talking heads attempting to capitalize on their willingness and unknowing expectations. Throwing fear and building an unneeded hate in them towards larger participants is just a very unfortunate part of the process. The shop is intended to build a foundation, or what most self-taught traders lack but professional traders get from the moment they step foot in the door of their workplace. In terms of my own profit, there is none (yes, seriously). Anything that comes in after breakeven is going to fund a new free project for traders that I have been working on for quite some time. But it takes some money, not a huge chunk, to get off the ground. The last thing I can do is lose the trust of people that have been so loyal to this site for so many years, so this is just another step. I have said it many times before but I will say it again: I do this because I enjoy it, which is said to be the same about many other bloggers / writers. Those that assume the worst I understand why: when you are facing constant inundations from those that regularly do otherwise so it comes as no surprise to me. But such is life. Myth: Professional traders deal with practically zero spread. Truth: Dealers trade with smaller spreads, and they jump all over the map. They are battling for best execution all day long, looking for prices to satisfy the bulk of their clients. They make their money by charging a spread to their clients, aka professional traders. Hedge funds and others like them (anyone on the second tier) is getting charged for the services of their bank. Trading through Reuters or EBS is free but your bank is always going to want a cut. A rough standard is $5 per million traded plus the spread, which can vary greatly. For the retail trader: Get as close to the market as possible when it comes to execution. This usually means just dealing through an ECN or other type of electronic network that doesn't have you passing through a dealing desk. Only settle for fast execution and the cheapest spreads. Simple. Myth: Professional traders know where all the orders are, all the time. Truth: Banks know only (fully) what's on their own books, and oftentimes share that information with each other. Many times these orders are “touted” over professional feeds (such as IFR or Market News International, each only about $150/month each or less, and available to anyone). I have seen people selling this same information to the retail crowd for as much as $800/month. Dealers trading through Reuters or EBS also have access to added depth (volume), but only on a very short term and still limited basis. Many open electronic platforms are even designed with functionality to mask order size. Retail brokers are making money off of you in one of two ways: 1. introducing you through an ECN, taking a portion of your spread, or 2. both charging you a spread and taking the other side of your trade (dealing desk). By passing through an ECN you could literally be matched with anyone that is using that platform. Dealers have credit lines extended with one another in order to do business. For the retail trader: Subscribe to a professional feed. IFR or MNI are two very trusting services that offer this information to anyone on the planet. Myth: Hedge funds make a killing in this market. Truth: Those that do it well follow the same, simple logic that anyone else would. From experience I know that the alpha generated from trading currencies can be very slim if it is not a fund's core focus. Others excel at it extremely well. They ALL maintain buoyancy by controlling their risk. For the retail trader: You stand the same chance as anyone else out there in this big, open ocean. SO, WHAT IS THE BIG DISTINCTION? Foundation. Basics. Arduous work and efforts and looking at the market for what it truly is: understanding it's D.N.A. and trading in line with it. People might listen to the wires but how many of those people do a quick google search when they don't understand something? How many of those people understand the basics of cross market analysis, what news rattles the market versus what doesn't, the implications, usage and ways of determining key economic indicators, and most importantly, how professional traders react. This last point alone is where most traders and rookie (or just bad) analysts simply get it wrong. Part of understanding the market's D.N.A. is understanding where professional traders most heavily put their focus, how they react, and in what timeframe. Get past this hurdle and you have just skimmed a few years off of your education curve. This market is very mechanical. Technicals, in the form of support and resistance, play a key role because they are the only global reference point that every trader can see and refer to. The technicals we cover here, I continuously stress, are reference points. It is a neverending “if” and “then” equation. “IF” this price gets hit, “THEN” it is likely to fade. “”IF” the top of that range is surpassed “THEN” we are heading to the next one, etc. From a mechanical perspective, this is how we take shape. I could write an entire manifesto on general workings of order flows, but just picture a block of price around a key technical zone (support or resistance or 00's). Ahead or AT or SLIGHTLY ABOVE it you typically have your countertrends. Directly above the range you have your continuation flows. From a fundamental perspective, we have short-term and long-term macro variables. Some people subscribe to both, while others focus on just one or the other. Short term macro variables come in the form of economic data that doesn't usually serve people a ton of interest or rhetoric by government officials, etc. As an example, recently with Greece, we have seen many impulse moves driven by rhetoric from key officials. What happens? Gaps caused by these have been instantaneously filling. Long term, we'll use the recent interest rate hike from the ECB as an example. The moment there was any talk that a rate hike was virtually certain, the pair traded in shock-fashion higher. In the background and leading up to all of this, there was still an underlying, deep interest rate differential all along. Greece and others known as PIIGS have been the primaries in terms of any tugs to the downside. Professional traders mainly listen to Reuters and bits of Bloomberg. For a measly 20 pounds per month you can get access to that same exact feed and more through Ransquawk. They have recently launched a retail service called Talking Forex (http://www.talking-forex.com). If you are wondering what is shocking USD/JPY or EUR/USD, you're most likely just missing out on a key news wire. Important: even if you're not in an early development phase, look up anything you don't understand. Even if you don't THINK you need to know it there is a very good chance that you do. CONFIDENCE IS A DERIVATIVE OF KNOWLEDGE. Know more, worry less. There are two primary terminals that get used in this business: Bloomberg or Reuter's 3000x (now Eikon). Each will run you anywhere from (I think on the low end) 800 to a standard 1700 per month, plus any exchange fees if you want them for real-time data. What's in them? News, chat, advanced studies, access to all major markets, etc. Unless you're heavily involved in NDF's or Outrights, Swaps, Options, etc., there is little more available on these for those ex dealers that you can't find anywhere else. The biggest pro to these are convenience. If you need something, it's there, but it isn't a golden key, of course. It's just an information portal that's going to add depth to your studies. If all you're trading is spot FX, much of the information can be found elsewhere and at a much more affordable cost. Bloomberg provides quotes for most major instruments for free over their website. If you're looking for the price of a 10 year Greek bond or 5 year credit default swap just google “Greece CDS bloomberg”. You're trading FX, not CDS, so all you really need is a macro view anyway. Same goes for major world indices, etc. Commodity prices you can either access directly through your broker or just by downloading a demo from one that offers the data you seek. For any others you can think of, please post in the comments below and I'll update this post accordingly. Every once and a while I do a checkup on the retail broker analysis and see how they're doing. I did one yesterday: its frightening and horrible. There are literally only two people I read with any sincerity from this crew, and even then I question their points occasionally. They all fail in the same standard department: they are simply NOT GOOD at determining how the market will react to key points and data. They take data for face value and recommend trading in line with it. They make bigger deals out of events that few market movers are interest in, and they get amped up over large moves, trying to chase trends to no-end. Consider this last recession and how many analysts were looking for the market to trade to absurd numbers. Everyone has an opinion, some much more radical than others. Having an individualistic understanding of the market is as vital to this business as a data feed. If you don't understand it, it is hard to say how you will succeed. Listening to others will only get you so far, as we discussed in many past articles. Getting away from the retail herd also means just as much in the department of not listening to the ideas of others on this level, beyond the brokers. There are a slew of information providers, forums, etc., that all speak to the tone of unchallenged analysis as anything else. People will always put themselves on a pedestal to sell you their product or idea. Always question quality and authority. NBT stresses the need for hard work and labor, individual efforts coupled with a desire to do well at what interests you the most. I argue that this is not a zero-sum game nor anything like it, a common quote from those that either don't understand, injected with negative opinion or have been taken down an improper path. We help in any way that we can, but like anything else, your own decisions and choices are what ultimately drives the car. Thank you….as I’ve said in the past talking heads can be good for raising your awareness to a term/concept, etc., that you might not have previously considered, but beyond that you are left to arduously find the good ones for anything extra. Thanks Rob. Awesome article! Thank you for sharing you experience with us! Great article! IFR can be accessed through an account with OANDA. A demo account will work too! Hi Peter, I think Oanda only syndicates a limited feed for IFR. I’m not sure if this is true or not but maybe others would know. Personally I prefer MNI. I have just found them easier to use/manage and they offer a ton of information…all FX. Thanks! I have a question concerning MNI, I’ve read in the chat you pay about 200 bucks for the fx bullets if I’m not mistaken. Last week I asked a for a quote for the fx bullets and they wanted to charge me $377 per month. Can you check if this amount is close to what you pay or that they want me to pay almost double for the same info. P.S. : The feed from Oanda IFR isn’t the same one as IFR directly from Reuters. 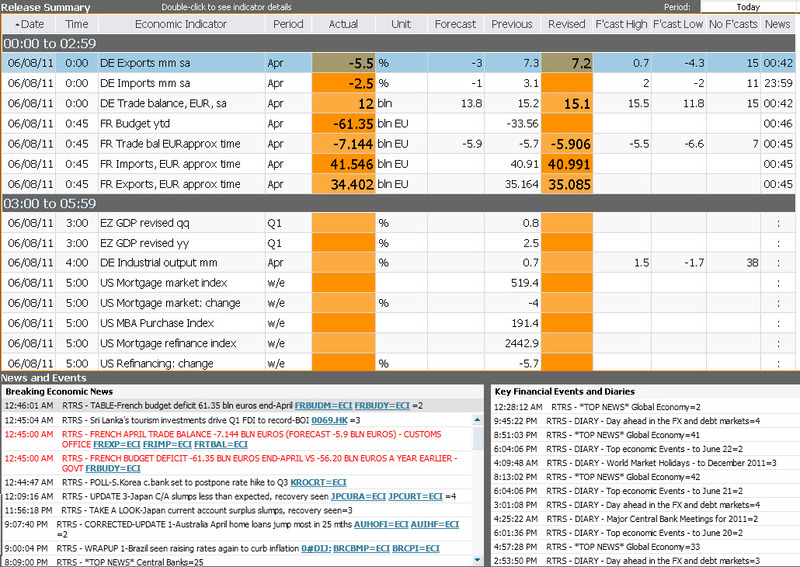 You can check it on your bloomberg terminal: IFR IFR Markets. Eesh….not sure about that…try Ashraf’s site. His premium service he’s got an arrangement with them of some kind and its 80 a month….not sure if its complete but you can ask him. Hey steve, nice work, cool videos you’ve been doing. In regards to Oanda’s IFR, it may be a light version as opposed to the real deal, but I’m sure the complete order boards and forexwatch news is all there. It’s pretty much all you would need as far as touted orders/news… I use oanda’s fxnews, a delayed ransquawk feed and check forexlive.com. For a retail trader until you can justify spending the cash for the real feeds, I think this should suit anyone just fine. I’d go as far as to say if you can make money with the awesome free info available today, paying 80$ for MNI or 150$ a month for the real IFR won’t make a bit of a difference. I imagine. Hard to say of of course without knowing everyone’s situation but that has just been my opinion. You have me thinking here also, in terms of helping with the ‘standard retail’ path as well….I think a lot of what I am tryinig to say here is meant more just to wean away from common notions and devices, but I see where you are coming from. and thanks Steve for the tip on ransquawk. Obviously, check bloomberg/reuters/ft/etc. And even those don’t have to be paid – you can use news.google.com. great article, thanks for that. Would you say that in terms of entering the market waiting for confirmation like price action setups/formations is amateurish and fading the market based on knowledge about data and key levels is professional? And would it be professional just because of the possibility to control risk and witch to risk free mode earlier if the trade is running? Amateur, professional, no matter in my opinion in terms of strategy. In his prime time Bernie Madoff was also considered a ‘professional’ so we use that term loosely. Last Euromoney poll (and I quote loosely, cant remember exactly) maybe 17% said they use order flow analysis as their primary device for trading, so it varies like anything else. Nice one – as usual Steve. Excellent article, Steve. I trade the indices and currency futures and I pay a flat fee for commissions. You mention Ashraf’s site..may I please have a lingk to it? Here you go JG – http://ashraflaidi.com/products/sub01/ is where you can sign up for the MNI bullets. I spoke to him yesterday via email and he confirmed they are identical to the main feed. I want to bump Steve’s comments on talking-forex.com. I’ve been using talking-forex.com since about when RANsquawk made it available and it is my main source for real time news while I’m trading (I then use the main print news sources for my reading before and after trading). I think talking-forex is the best value. If you are trading for yourself you absolutely should try them out. You can get a trail run the first month for 1 pound (about $1.50 USD). It’s month to month so you are never locked in. After the first month it is 20 pounds. I cant seem to find the MNI feed online, do you have a link to it? 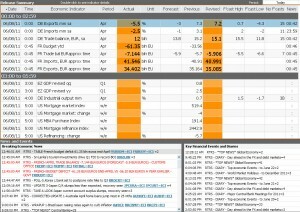 Saxo bank offers for free the MNI FX. I think it is the Select package. Congratulations to Steve for another great article. Love the article, I have a lot of friends that ask me if I think a self taught trader would be better since they can learn the way the need to learn, but at the same time a pro trader has the full force of a major bank or firm behind them which can influence a lot of things. I love being a self taught trader since I feel it has made me learn the ropes the hard way and has made me who I am today. I dont think I would be this good at what I do without the hard times of being alone. Thanks for the great article! I took a year long break from trading to rethink what I was doing and this article was great to (re)introduce me to forex trading. I’m hoping all I learned from my past mistakes and the great advice you are giving will make a difference this time. Thank you for the great article. As a beginner to forex trading, your articles really help me. And thanks for the link to talking forex. “Part of understanding the market’s D.N.A. is understanding where professional traders most heavily put their focus, how they react, and in what timeframe”. Is the time frame issue related to technical levels and previous reactions to those levels, as identified on a particular time frame? Perhaps in relation to the impact of future economic sentiment, eg. the smaller the economic event the smaller the likely impact – therefore the smaller the time frame to use for judging the effect of sentiment on smaller time frame technical levels? Hi Pete, I was using the word “timeframe” literally in terms of time (length of the though / move), not a timeframe on a chart. Understood on the confusion though.